THE ULTRA-PURE™ Difference: Our air purifiers and those of our sister brand, Advanced PureAir™, utilize up to 9 separate, integrated state-of-the-art air filtration and purification technologies allowing us to match and surpass the best aspects of competing air purifiers while avoiding their multiple shortcomings. Instead of just offering a handful of features that eliminate some air pollutants, some odors or a few germs we integrate a complex set of technologies in all our home, office and car air purifiers which detect and eliminate harmful air pollutants, dangerous germs and noxious odors that other limited-technology air purifiers simply can't. And we don’t stop there... We equip all our air purifiers with ultra quiet multi-speed fans, easy to read control panels, automatic timer settings and include a free remote control with most models. And, we offer it all in stylish designs at affordable prices. Then, we throw in a 30-Day Satisfaction Guarantee and 5-Year Limited Warranty! So, what are you waiting for? 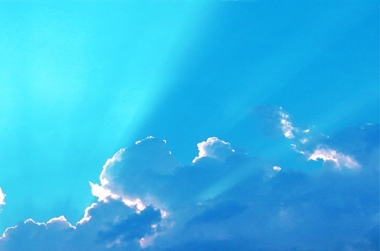 Check out Ultra-Pure’s and Advanced PureAir's truly amazing air purifiers by Clicking Here. “Your air purifier works almost too well. It’s so effective my wife made me turn it off during Thanksgiving dinner because no one could smell the turkey. Rest assured though, that’s the only time we turn it off." “I love this air purifier. It's worth its weight in gold. I have several allergies and was waking up with serious head-aches 5-6 days a week, and could never get rid of them. I needed some help, THIS IS THE ANSWER. Thank you so much for the great machine at a great price, your kind customer service department and quick shipment. I think everyone should have at least one!" Whether it’s power, performance, portability, home or office use, Ultra-Pure has the perfect air purifiers to suit your specific needs! 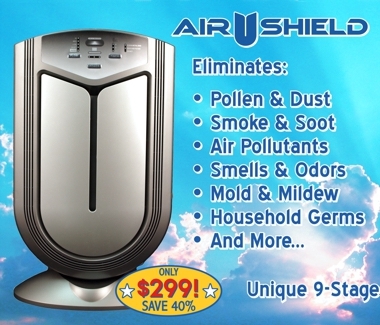 Our air purifiers filter pollen, smoke, soot, pollutants, odors, bacteria, germs, mold, pet dander & more! Perfect for asthma & allergies! We feature HEPA, Activated Carbon and Electrostatic filters as well as Ultraviolet, TiO2, Activated Oxygen and Negative Ion Sanitizers! Ultra-Pure air purifiers use advanced technologies that Oreck®, Ionic Breeze®, Blueair®, Sharp® & other air purifiers just can't match! Air Purifiers A Quick Overview: There are basically 7 types of air purifiers. 1) HEPA filter air purifiers; 2) ionic air purifiers; 3) activated carbon/charcoal air purifiers; 4) ultraviolet light air purifiers; 5) electrostatic air purifiers; 6) photo-catalyst TiO2 (titanium dioxide) air purifiers and 7) activated oxygen (ozone) air purifiers. Each of this types of air purifiers have their strengths but unfortunately they also have their weaknesses because the type of air purifier that works on dust or tobacco smoke, may be ineffective against odors and germs or vice versa. That's why air purifiers like the Oreck ®, Ionic Breeze ®, Blueair ®, Sharp ® and other air purifiers that rely on only a handful of technologies just don't stack up to Ultra-Pure air purifiers which combine all these types of air purifier filters along with air quality sensors and pre-filters to extend and enhance the performance of the other air purifier filters. To learn more about the types of technology used in air purifiers click the following link air purifier technologies.